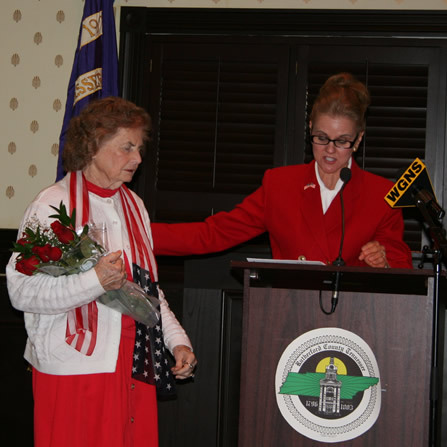 Myra Simons is the Director of the Mufreesboro Veterans Day Celebration Service. 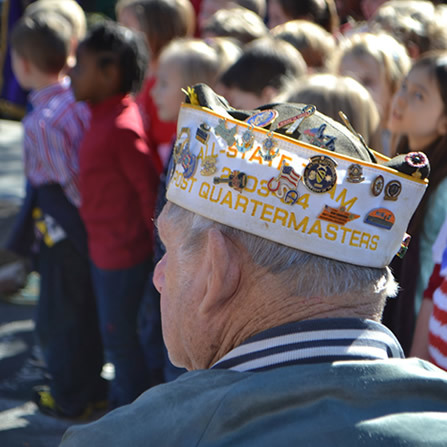 Always a special thanks to Photographer Gale Stoner for the Mufreesboro Veterans Day photos. 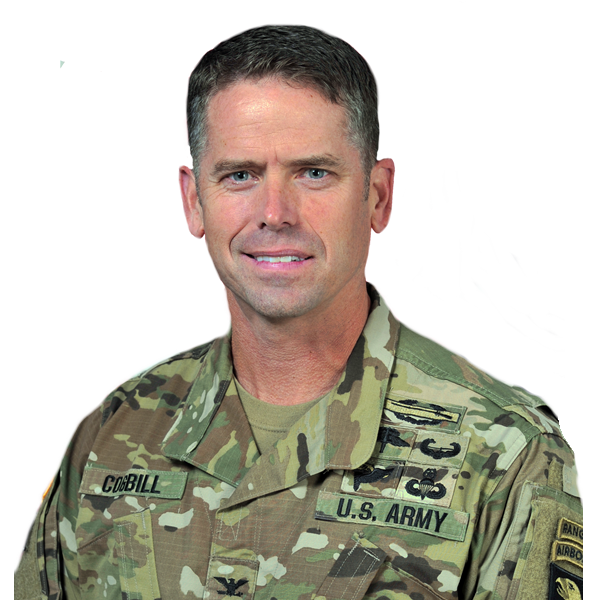 COL John P. Cogbill was commissioned as an Infantry officer from the United States Military Academy in 1994 and has held a variety of positions in both conventional and special operations units. 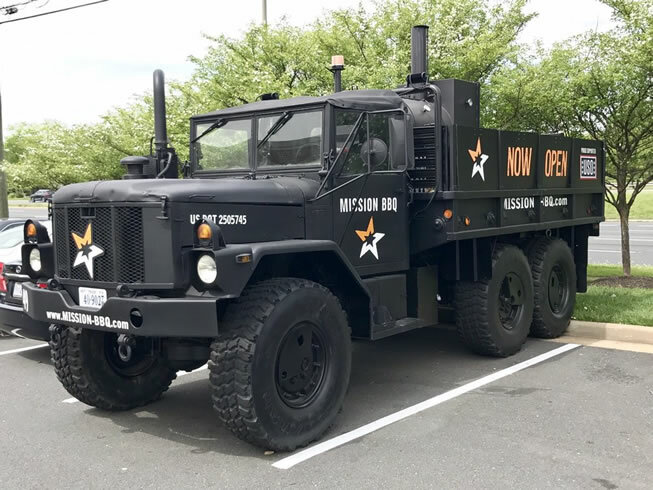 John’s first assignment was as a Platoon Leader and Executive Officer in the 82nd Airborne Division. John then served two years in the 1st Battalion, 75th Ranger Regiment as a Platoon Leader and Civil-Military Affairs Officer. He is currently the Commander of the 3rd Brigade Combat Team, 101st Airborne Division (AASLT). Honor Flight of Middle TN – Rob Moreland, US Army, 1st Lt. 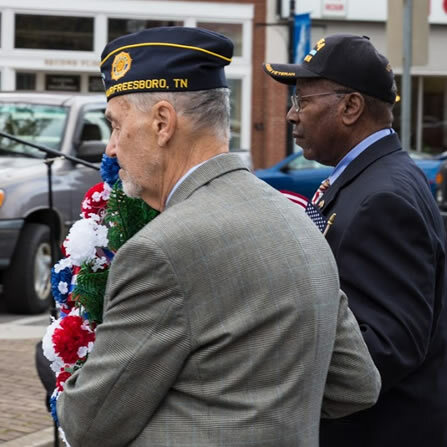 The 2018 Murfreesboro Veterans Day Service Marks Its 22 Year!! "Never give in — never, never, never, never, in nothing great or small, large or petty, never give in except to convictions of honor and good sense. Never yield to force; never yield to the apparently overwhelming might of the enemy." 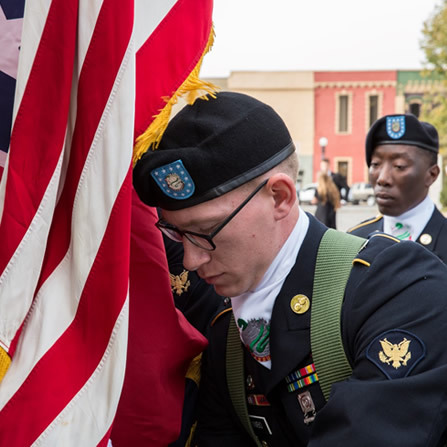 The Murfreesboro Veterans Day Service is set for Friday, November 12, 2018 at 11:00 a.m. This is our 22 year!! 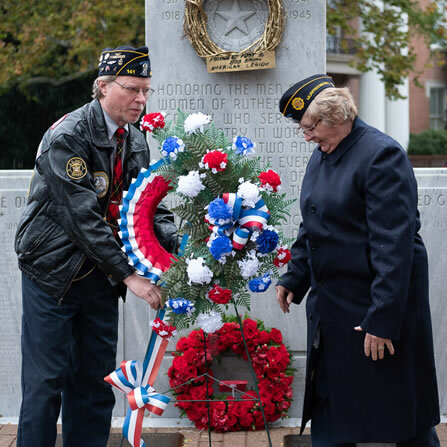 The service is held each year on the Murfreesboro Square on the corner near the War Memorial monument at the Rutherford County Courthouse. This is our 22 year! This will be a truly inspiring uplifting event that will lift your heart in patriotism and love of country. 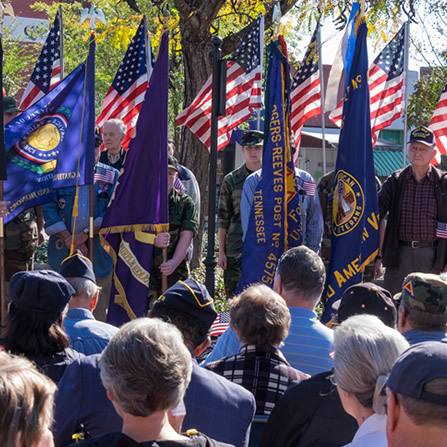 Please spread the word and let's celebrate our veterans together this year - Friday, November 12, 2018 downtown Murfreesboro on the square at 11:00am. Mrs. Elsie Stem started this program in 1996 over 22 years ago. Her beloved husband was a veteran and she did an excellent job for all those years through 2011. At that time, she turned the program over to a new director Myra Simons. Myra considers it an honor to follow in her footsteps! Veterans Day is an official United States federal holiday that is observed annually on November 11, honoring people who have served in the U.S. Armed Forces, also known as veterans. It coincides with other holidays including Armistice Day and Remembrance Day, which are celebrated in other parts of the world and also mark the anniversary of the end of World War I (major hostilities of World War I were formally ended at the 11th hour of the 11th day of the 11th month of 1918, when the Armistice with Germany went into effect). The United States also originally observed Armistice Day; it then evolved into the current Veterans Day holiday in 1954. Veterans Day is not to be confused with Memorial Day; Veterans Day celebrates the service of all U.S. military veterans, while Memorial Day is a day of remembering the men and women who gave their lives and those who perished while in service. 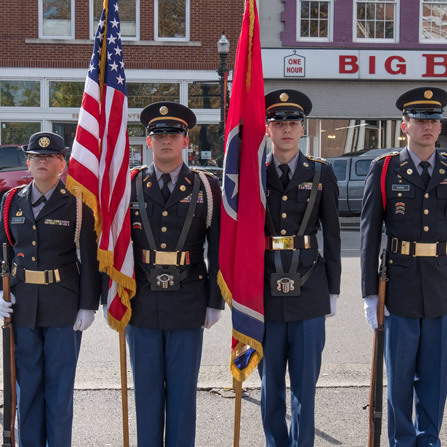 © Copyright 2019 Murfreesboro Veterans Day Service. All Rights Reserved.